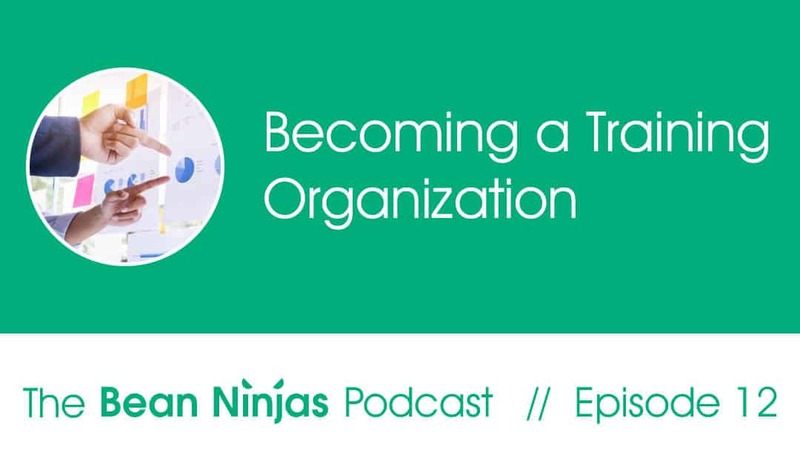 In Episode 12 of The Bean Ninjas Podcast, Co-founder, Meryl Johnston, provides insight as to why being a great training organisation is important and how you can achieve this for your business. One of the key Bean Ninjas values is that Bean Ninjas is always growing, in order to achieve that growth as an organisation, each and every team member is always learning by extending their knowledge base and skills. Training (and learning) occurs on an ongoing basis – not just when a new team member is on-boarded. It is this ongoing learning and training that is paramount to the business’ success. Because the cloud bookkeeping industry is constantly changing, Bean Ninjas embraces training to stay ahead of the curve. As a result of this culture Bean Ninjas is able to fully meet its customers needs as they evolve. Recruiting and retaining remote team members is challenging. Whilst training team members can be one of the biggest obstacles to companies adopting a remote culture. On the flip side, not offering good training and development can be a key reason for employees to leave. In contrast, Bean Ninjas, not only successfully train new team members, they train them well enough to become trainers themselves! The student becomes the master! This is one reason Bean Ninjas became an international company within two years and continues to grow at a rapid pace. Learn how to embrace being a training organisation.